I am thrilled to be mentioned in the September issue of Seattle Magazine . The article, This Old House, features the collaborative efforts of my relationship with some fabulous clients, whom have become good friends, and my "go-to" architect, David DiMarco. After a long search for the right property, we saw this 1912 Prairie style residence the first day on market. 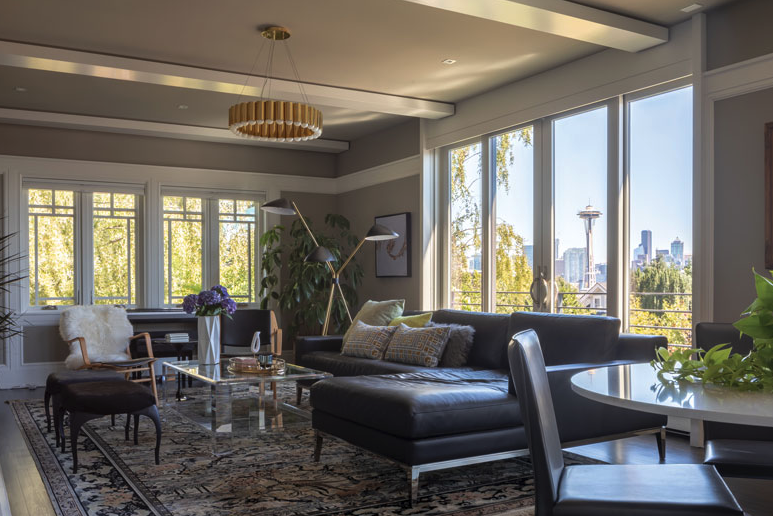 The location was perfect and the coveted "Fraser" view, quintessential Seattle. Plus it was on a huge corner lot. The home was in disrepair and the agent was promoting it as a tear down for lot value only but my clients had vision. They made an offer immediately. The next call was to David to see if the home could be preserved and renovated. The article and photos are a testimony to their skilled efforts. David and I have worked on multiple projects together. As a real estate agent, our connection speaks to the importance of having a gifted architect at the ready. David is currently working on the home of another treasured client . I can't wait to see the result soon. We will be sure to have Seattle Magazine on speed dial for the next photo shoot.